We request children are not at school before 8.40am to ensure there is adequate supervision. Students are to remain on school grounds during these times unless escorted by a teacher or collected by a parent. Kindergarten and Pre Primary students are to be collected by an adult each day at 3.20pm. Black shorts or skirt with gold top. Long sleeve shirt, windcheater and school jacket are available as part of the uniform. Uniforms are available from the school and an order will take place in Term 2. We have a “No hat no play” policy, so children are required to wear a hat when outside. A school hat is supplied to each child on their enrolment—donated by the P & C. It is also advisable for students to wear joggers each day as they are involved in numerous physical activities. School Contributions & Charges are due at the beginning of the year. For 2016 it is set at $60 Contributions and $10.00 for Charges. Our P&C has an insurance policy to cover all children for accidents and a fee, $9.00 is payable to the P&C, is due at the beginning of each year. 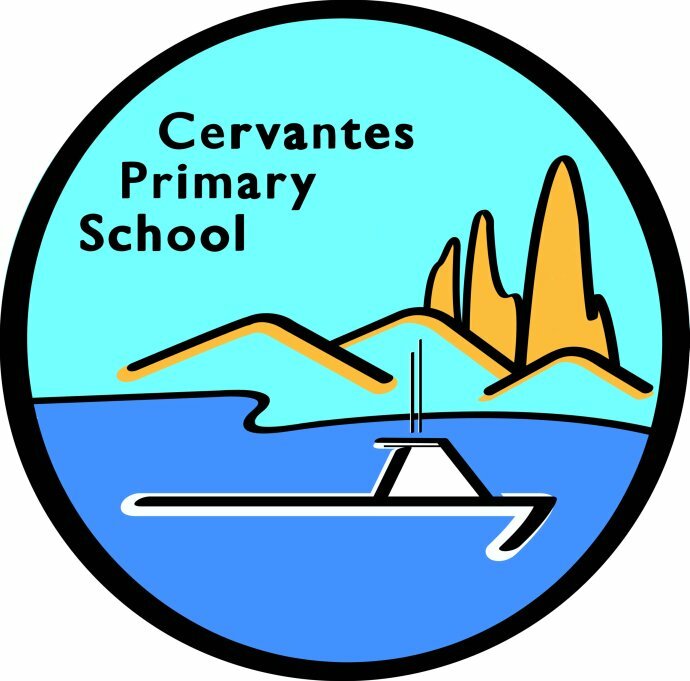 At Cervantes we believe that parents are vital partners in the education of their children and there are regular opportunities for families to be informed about the school, it's activities and students' learning. Please click on Class Information links to see a copy of the document. For 2016 P&C has decided to support the school with their Nature Playground Concept. Along with our annual donation of $2,000 which goes towards the computer lease costs and library resources to benefit all students, we will also be donating $1,000 towards the Senior School Camp. Last year we had a very successful year in achieving our target of the undercover area from the school to the library.